Hideaway Cottage is a traditional cosy lakeland stone cottage in quiet central location. Refurbished to a very high standard, downstairs is a lounge / dinner with a seperate fully equipped modern kitchen with an electric oven, gas hob, fridge, microwave and washing machine. 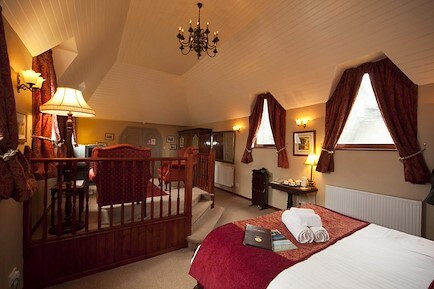 Up steep stairs is a spacious double bedroom, and a large bathroom with a shower cubicle and bath. Hideaway is fully gas centrally heated with an electric stove in the lounge. Out the back door is a shared garden with a small private patio that catches the sun until early evening. The Cottage is centrally located on a private road, with parking directly in front of the Cottage. Hideaway is an ideal base for couples wishing to walk the surronding fells, or to explore Keswick's many tourist attractions, shops, restaurants and pubs. No smoking or pets. Hideaway Cottage is located in the "old back streets" of Keswick, close to St Johns Church, a conservation area 2 minutes walk from the town centre. Derwentwater and the Theatre are a short 5 minute walk, and the beautiful Hope Park and Fitz Park are also close by. Your enquiry will be sent directly to Hideaway Cottage. Please fill in as much detail as you can.